bread vada recipe | instant bread carrot vada | crispy instant vada with detailed photo and video recipe. easy and crispy snack recipe made from leftover bread slices can be life saver with your surprise guests. 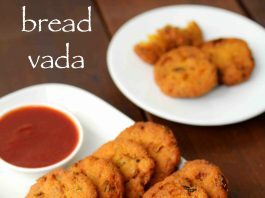 this bread-based snack is an easy alternative to the traditional vada’s which require grounding and soaking. 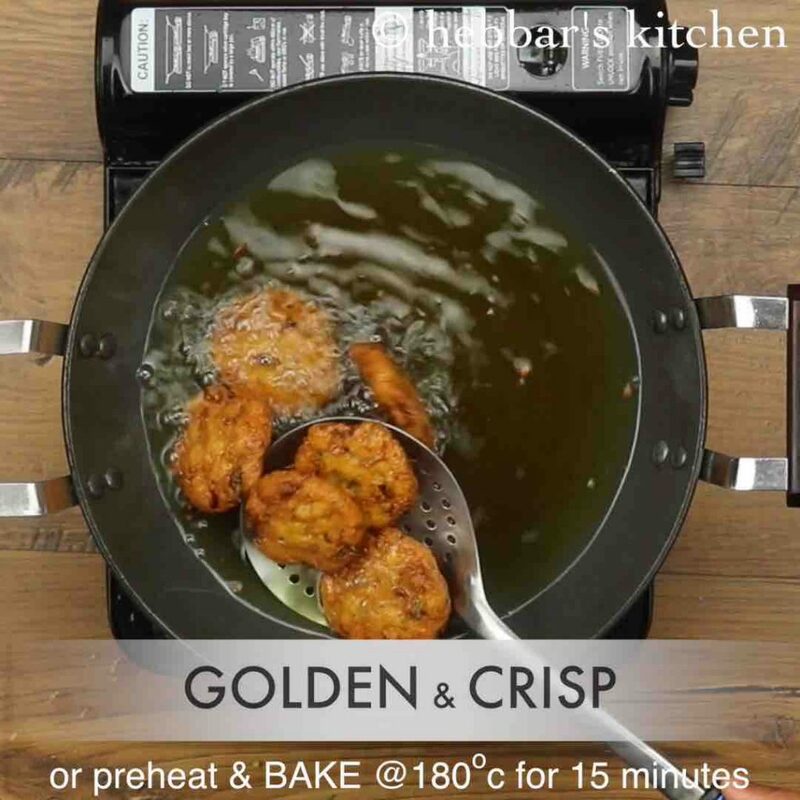 these crisp instant vadas are ideal evening snacks. bread vada recipe | instant bread carrot vada | crispy instant vada with step by step photo and video recipe. bread based vada snacks are simple to prepare and require basic ingredients like yoghurt, rava, rice flour and choice of veggies. apart from it, the best part of this snack is its instant way of preparing it without much hassle grounding and soaking. 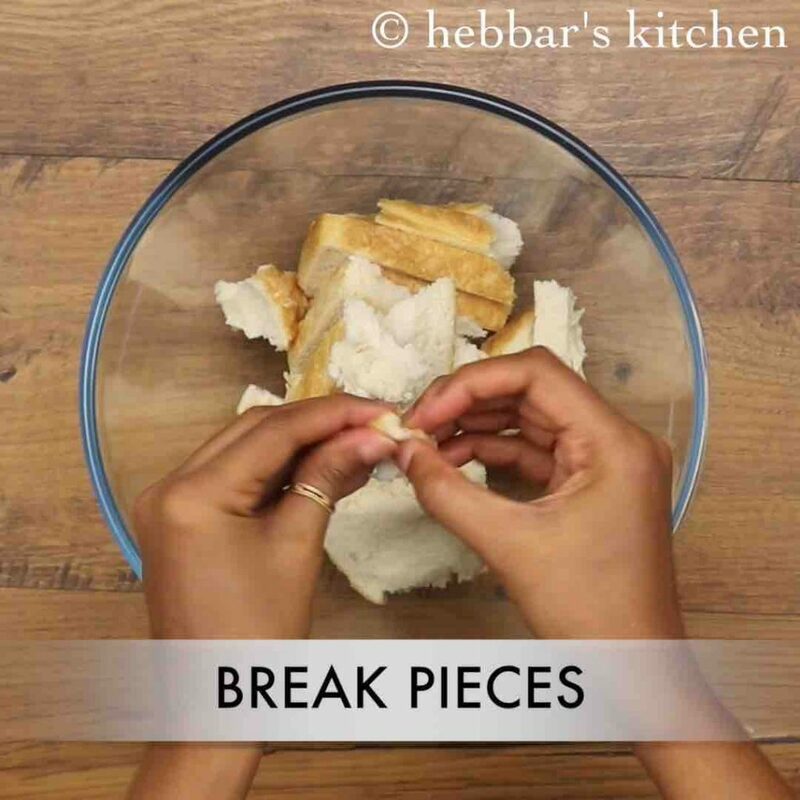 crumble the bread slices and mix it with dry and wet ingredients to make crisp lip-smacking snack. 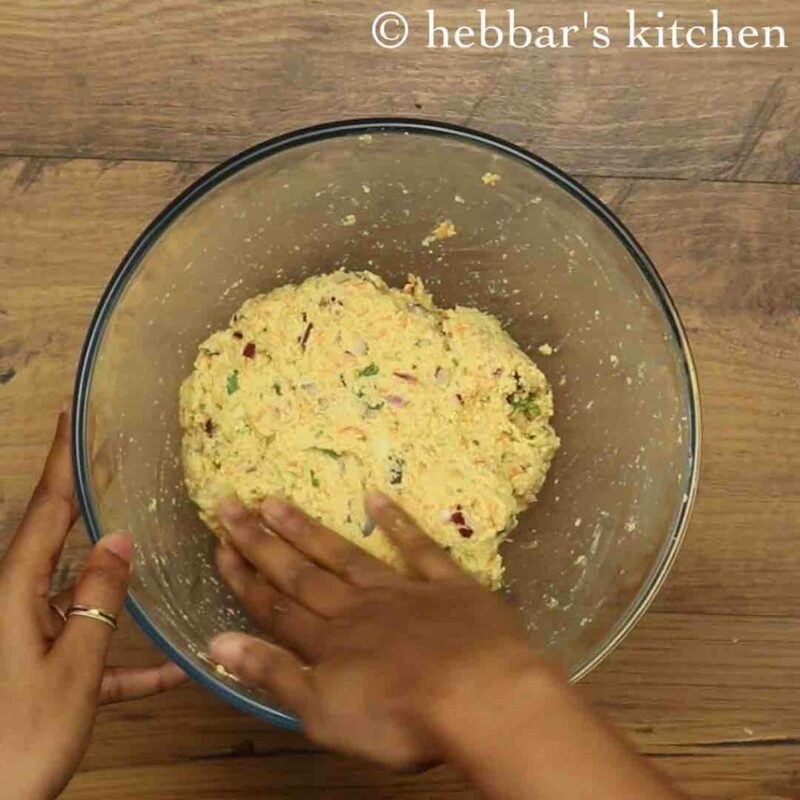 previously i had shared instant medu vada recipe from bread slices and i always wanted to share a vegetable-based bread vada recipe. this recipe of instant bread carrot vada is much simpler and easier to prepare. 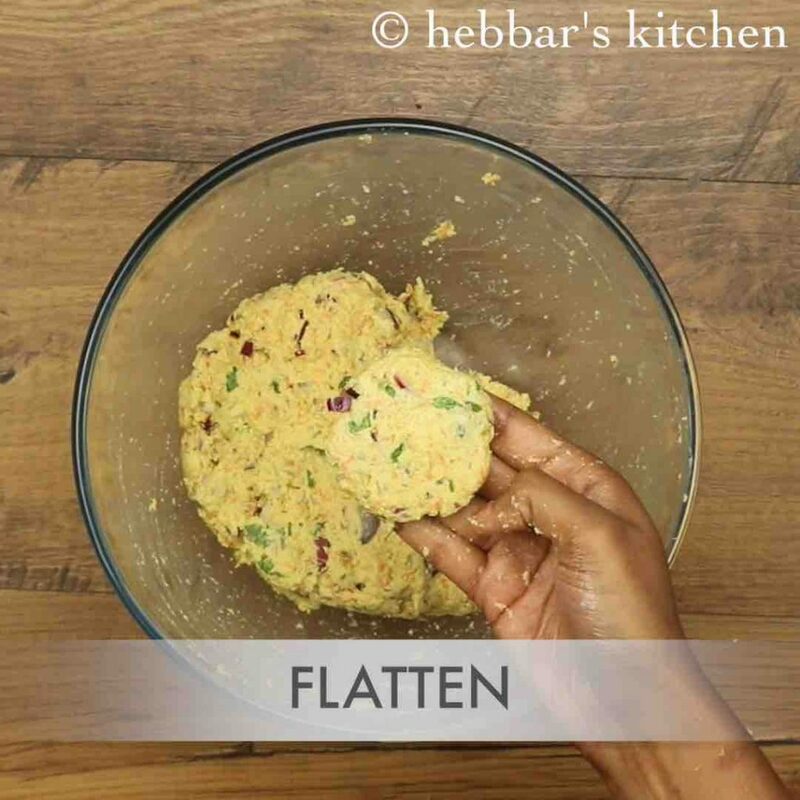 moreover, these are easy to shape, unlike the traditional medu vada which is cumbersome and may require additional support of greased parchment paper or plastic cover. in addition, the best part of this recipe is its flexibility to add choice of veggies to it. 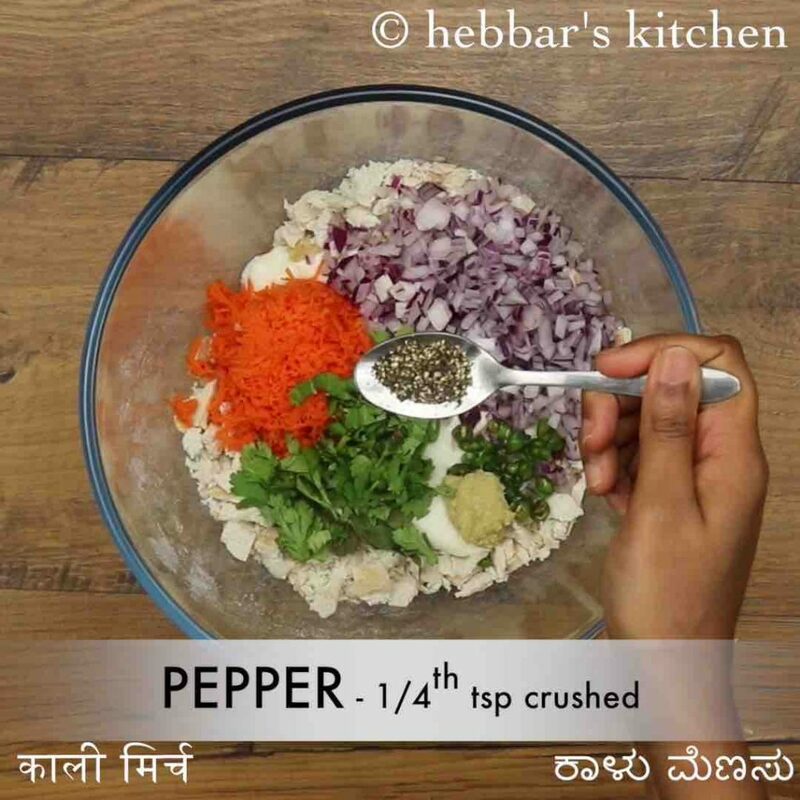 you can add vegetables to medu vada but traditionally it is extended till onions only. whereas, in this recipe of instant crispy instant vada, it is completely open-ended by adding choice of veggies. 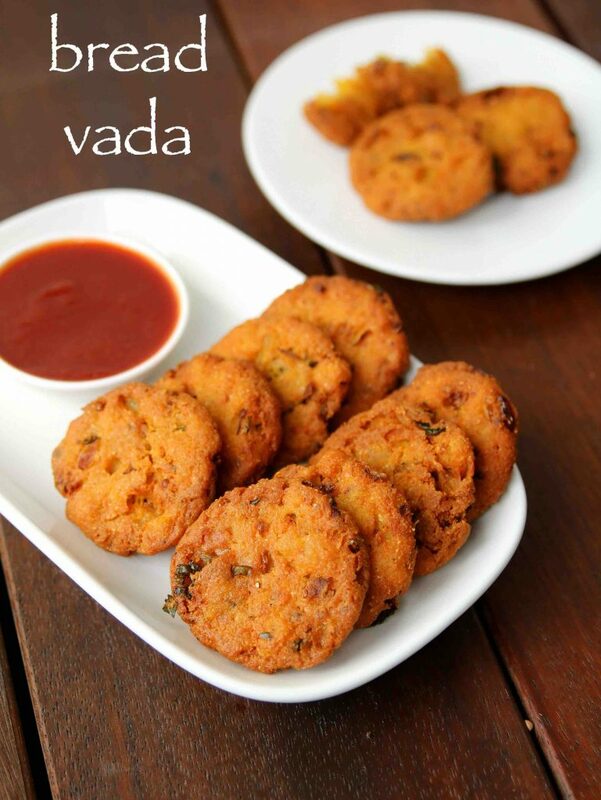 furthermore some easy tips, variations and serving ideas for bread vada recipe. firstly, this recipe is not bounded by any specific bread variations and any choice of bread should work. i personally prefer the plain white sandwich bread but you can also use wheat bread or multi-grain bread too. 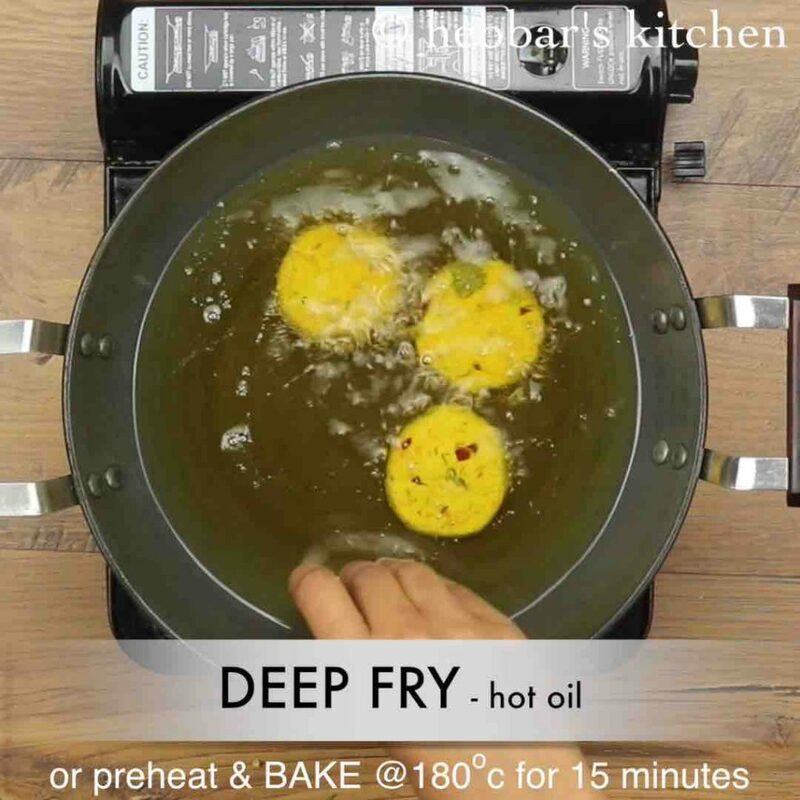 secondly, while frying make sure to fry them in high heat initially and once it changes its colour lower the heat. if it is deep fried in low flame it will absorb more oil. 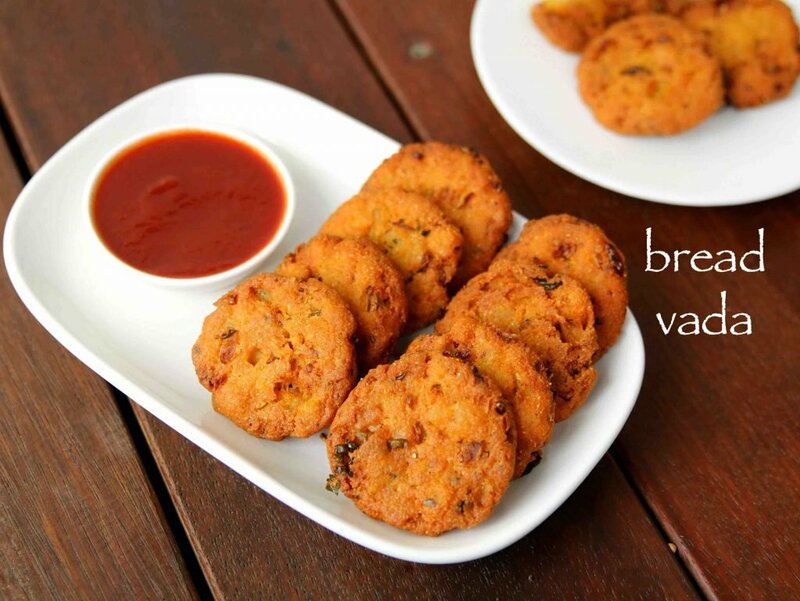 lastly, serve these crispy bread vada’s with either green chutney or tomato sauce or by itself without any side dish. moreover, it can also be consumed by sandwiching between bread slices or pav similar to vada pav. firstly, in a large mixing bowl break 4 slice bread into small pieces. you can alternatively crumble them in a food processor. 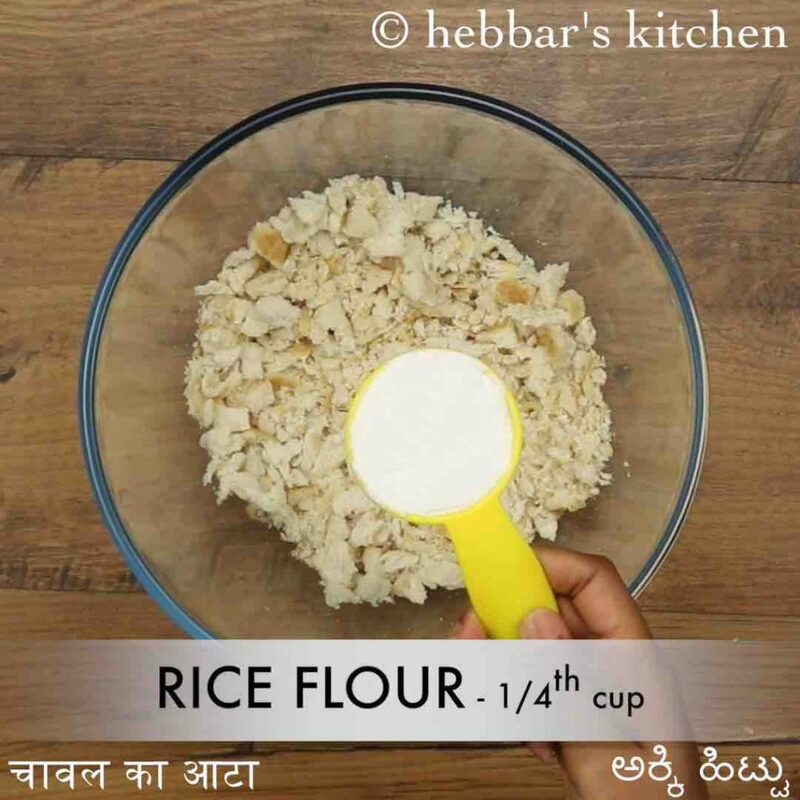 also add ¼ cup rice flour, 3 tbsp rava and mix well. additionally add ¼ tsp pepper, ½ tsp cumin and ½ tsp salt. combine well making sure to squeeze and mix. prepare a soft dough, adding water or bread crumbs if required. now grease hands with oil and pinch a small ball sized dough and flatten it. deep fry in hot oil or bake them in a preheated oven at 180-degree celsius for 15 minutes or till it turns golden and crisp. stir occasionally, and fry on medium flame till it turns golden and crisp. finally, serve bread vada with coconut chutney or tomato sauce. 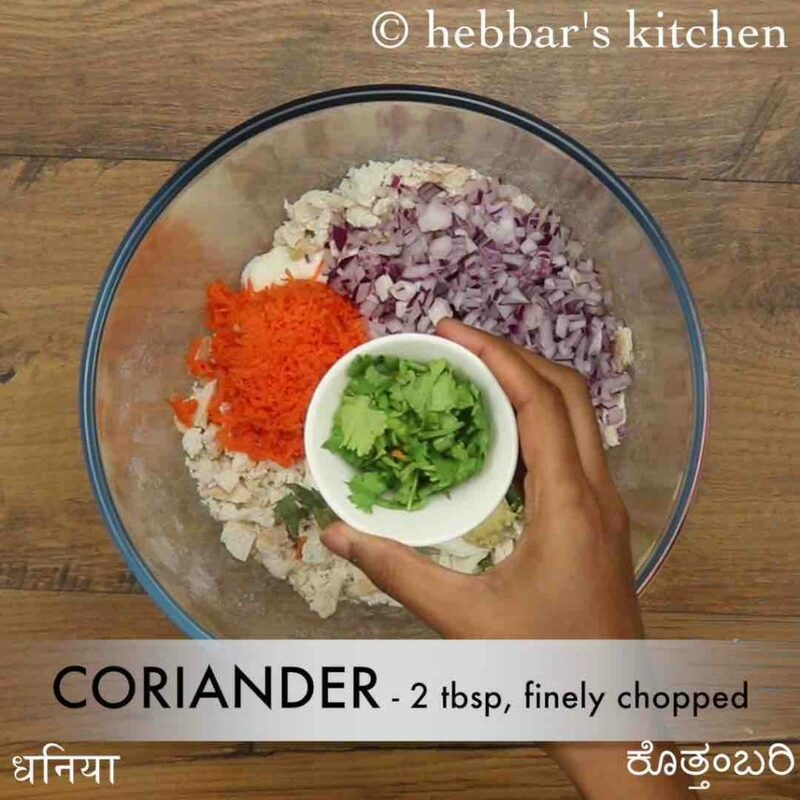 further add 1 cup curd, ½ cup carrot, ½ onion, 2 green chilli, ¼ tsp ginger paste, few curry leaves, 2 tbsp coriander leaves. combine well making a soft dough, adding water or bread crumbs if required. firstly, add vegetables of your choice like cabbage, palak to make vada more nutritious. also adding curd is optional, however, it makes vada recipe more soft and tasty. further, fry the vada in hot oil, else bread will absorb oil and turn soggy. finally, bread vada tastes great when served hot along with masala tea.